I just emerged from six fantastic months of chasing summer through the Northwest, Yosemite, the desert Southwest, and most recently, Joshua Tree. Six months of splitters and warm rock and tank tops, and now in the span of a few days and a drive north, it’s December. Winter. It’s a world of red & green and long lines at the post office, kitchy Christmas gifts at the grocery store and holiday sales, rain, and cold. I had almost forgotten that these things existed. I’m content to stay in my sun-blasted, off-the-beaten-track land, where Thanksgiving consists of climbing granite slabs by day and eating deep fried turkey around a fire by night with friends new and old, rather than crazy crowds at the grocery store and messages of Black Friday wherever you turn. I’m content to stay in summer; I don’t like the cold. As I wrote in “Let’s Eat Pie,” my current situation is certainly not all daisies and roses, mostly because I’m here. There are indeed weeds, as there always will be. That said, I am essentially living exactly how I want to. Chasing the sun, chasing community and challenge and wild places; choosing a life devoid of “cold;” of boring work, of thoughtless routine, of city traffic and appointments and mortgages and plastic and constant internetting. Maybe most importantly, I’m chasing, instead of running from, or just standing still. I have found that which I love and want, at least for now, and am pursuing it. Or is that my own voice? But then there’s Matt, who reminds me often these days, “We can have this much fun all the time.” And I’ve started to believe him. Regardless of if we’re chasing the literal glowing-orb sun, we can always chase the SUN. Brightness of spirit, warmth of relationship, the glow of challenge and growth and purpose. And maybe, probably, that includes work and routine and appointments, though I sure as hell hope it doesn’t include city traffic. I’ve been ruminating on this quite a bit. Maybe it’s because I’m turning 30 in less than 2 weeks. (WOAH) Maybe it’s because I’ve heard, “Good thing you’re doing it while you’re young” a lot lately. Maybe it’s because the balance of my bank account that I painstakingly grew over the last few years is slowly shrinking. I know life gets more complicated; I can’t live this care-free and responsibility-less of an existence forever, mostly because I need more. Heck, these days I find things to sell on eBay to give me something to do; I make up writing assignments for myself and get on my case if I don’t finish them. I think there’s something innate in every individual that wants to keep moving, to find more things or people or ideas for which to care. But add in any level of responsibility or any sort of hardship, and things get messier. At least that’s what they say. Joy and freedom and lightness might get lost under piles of paperwork and commitments and crying babies. Maybe that’s what all those people are warning me about when they encourage me to live it up now. Losing joy. I fear that, for sure. I won’t have it though. I don’t believe that has to be the case. Call me naive, call me young and idealistic, but I’ll stubbornly bulldoze into the future with this as my aim. Do. Not. Lose. Joy. I have a feeling it’s a choice; I have a feeling that among all the things that I cannot control in life, this is one of the few things that I can. I’ve been reminded by a few wise people lately not to chase after hardship; life is full of enough struggles as it is. But in the times that come, whether it’s climbing dirtbaggery or a full-time job or even being a mom, whether it’s a full-on struggle or an easy ride, I hope I’ll keep joy beside me. My metaphorical “pie” in the shade. I’ll keep clinging to the hope that joy can just as much be a byproduct of an adult existence (whatever that means) as it is of the life I’m living now. For now, I’ll keep chasing the literal sun too! In a week’s time I’ll be boarding a plane to Argentina, where I’ll soon enjoy the longest day of the year and my first austral winter. Matt is heading down to Torres del Paine with his friends Austin, Tad, and Troutman to attempt a first ascent, and I’m doing some adventuring of my own. My first stop is in Frey of northern Patagonia, an area fabled for it’s clean granite spires, beautiful views, and cool hang. 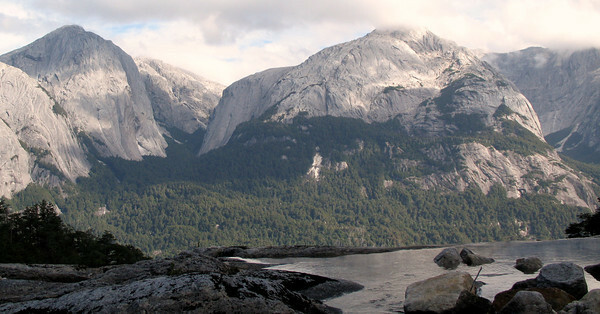 I’ll then bust over to Chilé to visit my friends Daniel, Silvina, and Zen in Cochamó and see for myself if this Yosemite-like valley boasts amazing rock and splitters or just flared vegetated cracks and baseball-sized bugs. 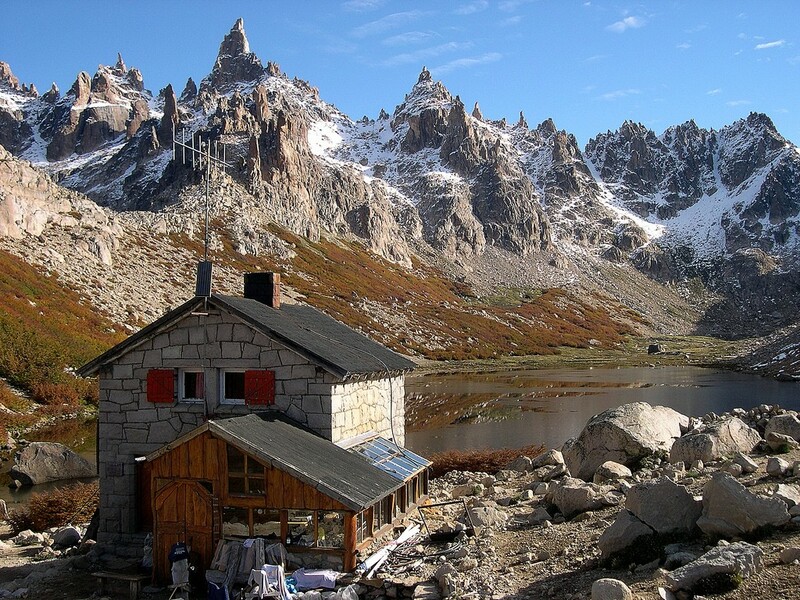 Then I’ll venture further south to El Chalten, to a land that sounds so dreamy I still don’t believe it exists. I’m super lucky to be able to climb with my Patagonia-veteran hard-woman friend and soul sista Sarah. Adventure awaits! Wheeeeee! The Fitz Roy Massif. Whoa.